Being part of the Playmobil Playologist Team when recently received a fantastic new selection of the Super 4 toys available! Playmobil have brought out 4 super hero figures with their own 'theme' worlds. Children definitely love 'super heroes' especially ones that can really come to life in their own hands and imagination. To celebrate the Super4 toys from the CITV series four free theme adventure trails have come to the streets of london, they have been created for young budding heroes and their grownups for their attempt to find treasure! There is a reward for every challenge you complete, but four super lucky adventurers will win a limited edition Super 4 Figures hidden on each trail to find out where the trails are visit- Super4.co.uk. We received Twinkle in her Musical Flower Tower, Twinkle and her friend can be seen flying around this beautiful musical tower, which folds into itself for easy transportation. Inside the tower is a beautiful wind up music box with also folding petals. The fairies can stand inside the petals and also on the roof. The set comes with lots of little accessories such as a pretty little unicorn, fairy wands and some magic potions. Violet absolutely loves this set, it is such a pretty little toy and i love the fact you can pack it all away to keep all the bits together. 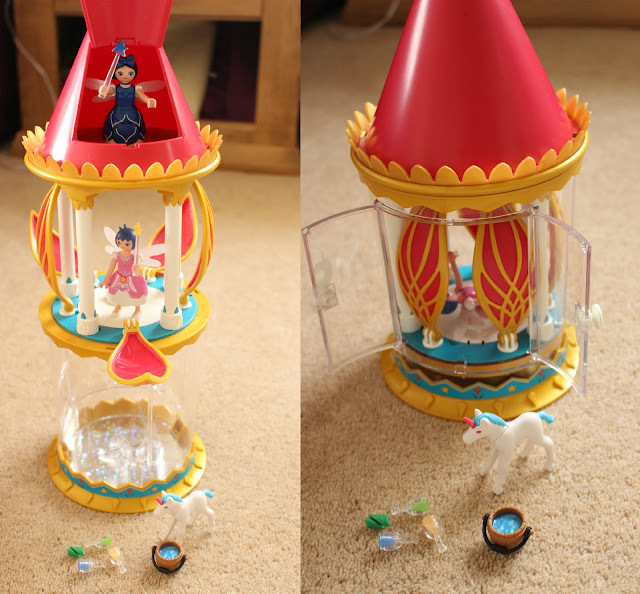 The wind up musical feature is really nice as well as the cute little fairies that come with it. Alister was thrilled to receive the Lost Island With Alien & Raptor. This is more of jungle themed toy and which domes with an explorer who stumbles across Raptor Dinosaur and his fearless friend Alien. The set comes with lots of foliage and food for added features. Again this set was super easy to put together Alister did it himself and really has enjoyed playing with it and using his imagination. He's actually asked for more sets to go with it! 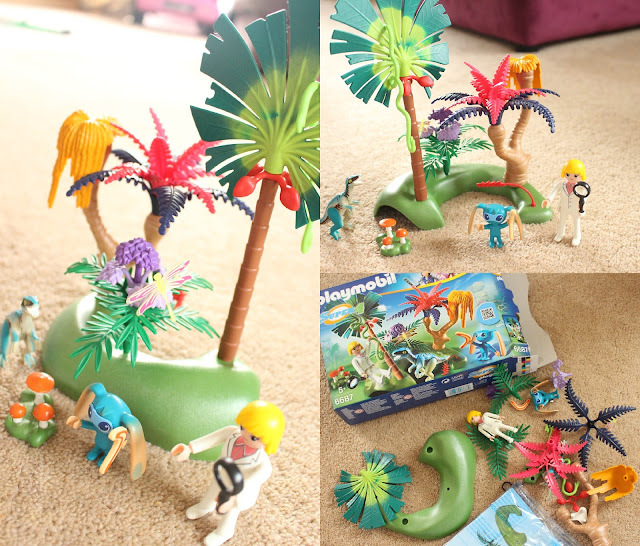 The Lost Island set retails at £14.99.